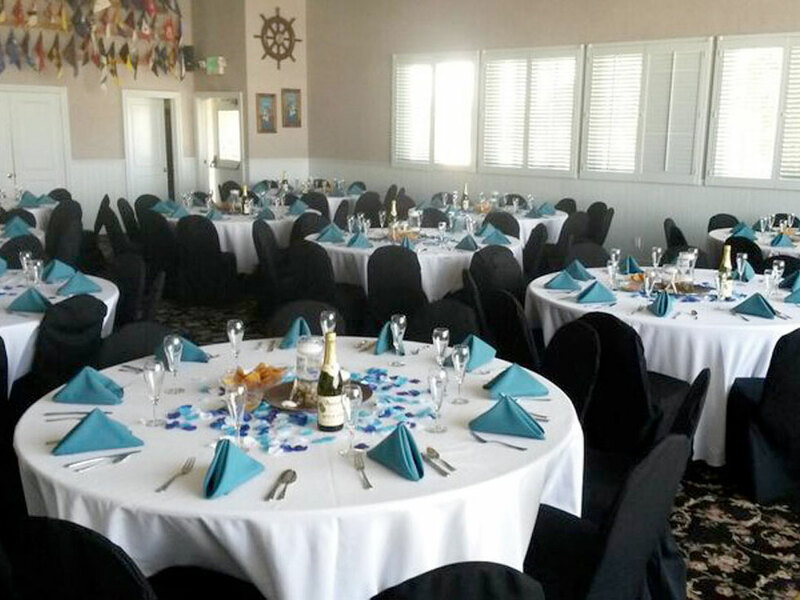 Please contact Sharon Sullivan at 805-985-6155 for rental rates on our beautiful waterfront dining room. 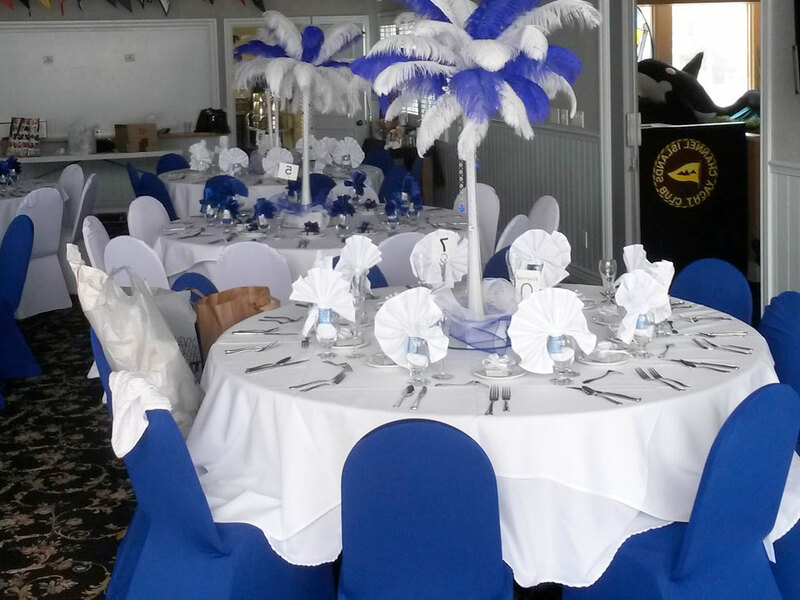 The Channel Islands Yacht Club is a “self-help” facility and offers an opportunity to have an affordable event, if you are willing to do your own set up, decorating, and catering. 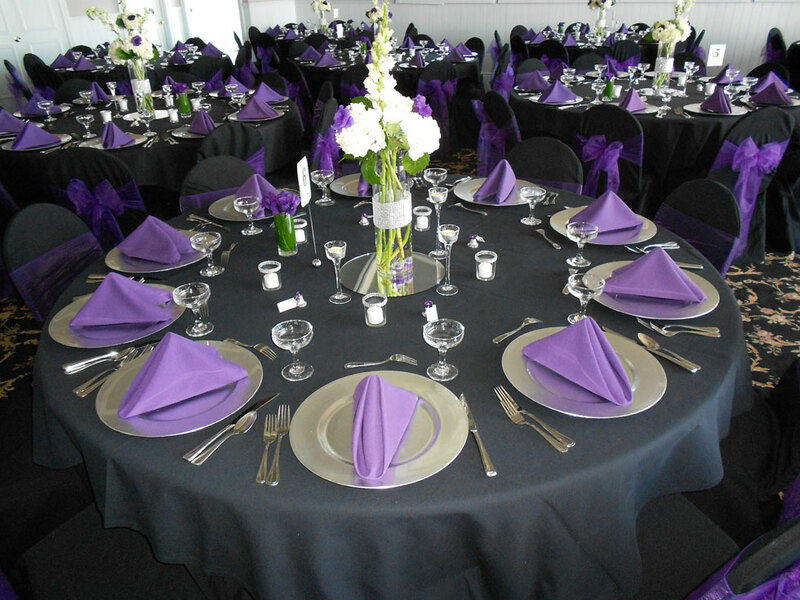 Rentals over $250 include table cloths, napkins, and table settings. Weddings for members and immediate family only, see above. Non-member Security Deposit (check only). Completely refundable after event if all goes well. Day/Night meetings. No food or beverage. (No bar). HOA meeting, outside board meeting, etc. $100 deposit required at time of booking your event. The balance due on the day of the event. You must arrange for your own licensed and insured Caterer. Wine only, may be brought into the Club: however, there will be a corkage charge of $9.00 per bottle. Service charge and sales tax will be added. Bar service is available during normal Club hours. If your event is a large one, or other than normal Club hours a fee for an extra Bartender may be applied. CIYC is available until 11:00 P.M. for evening functions. 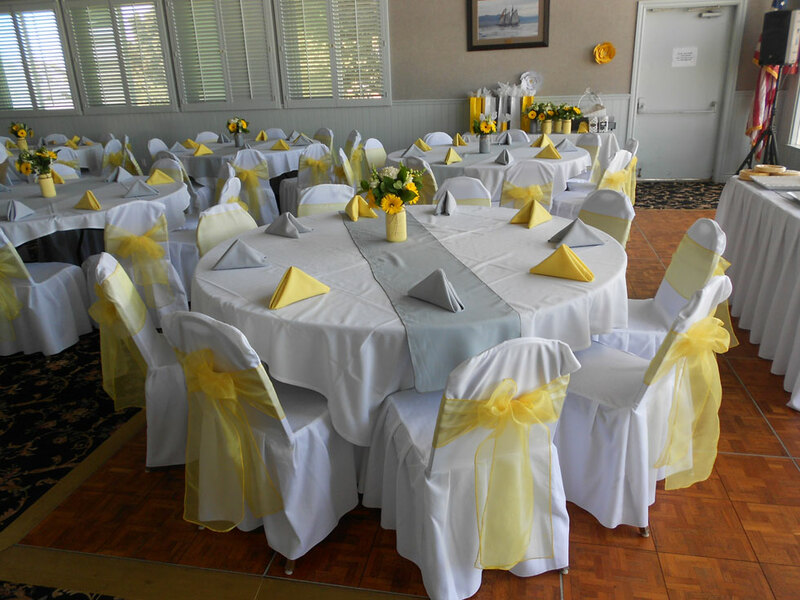 ALL PRICES ARE SUBJECT TO CHANGE UP TO 90 DAYS PRIOR TO YOUR EVENT. All decorations must meet with the approval of the Channel Islands Yacht Club. Decorating time is determined by availability of the reserved area. The Club will not permit the affixing of anything to the walls, floors or ceiling of the rooms with nails, staples, tape or any substance, unless the Club gives approval. Some events with music and dancing will require Security Personnel, if required, the event host will pay the cost. The Channel Islands Yacht Club will not assume any responsibility for the damage or loss of any merchandise or articles left in the Club prior to or following a function. The host will be charged for any damages or breakage other than normal use caused by the host or his guests. It is the responsibility of the host to secure and protect gifts and other items delivered to the function. The host agrees to indemnify and hold harmless the Club, its officers, employees, agents and other affiliated entities against all claims, losses, damages, and expenses arising from the host, his employees, subcontractors and guests while using the Club’s premises.